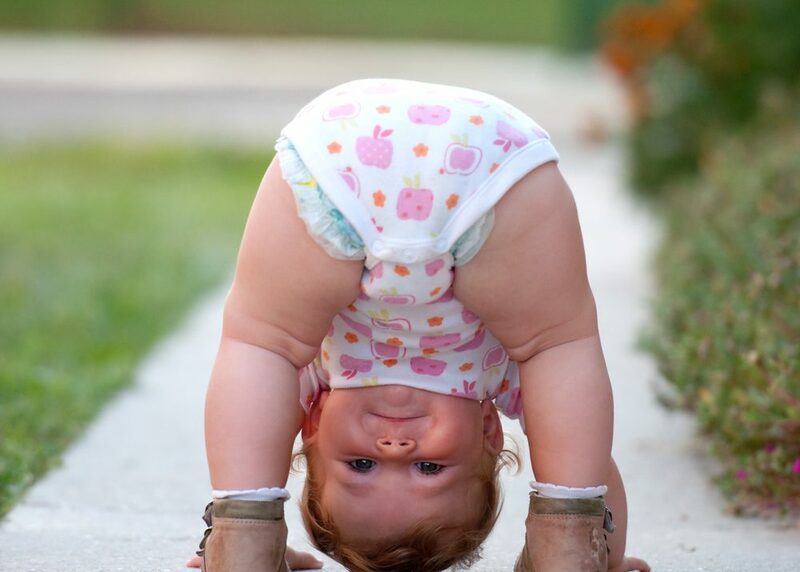 Laxity (increased stretch) in a child’s ligaments can cause excessive range of movement in a child’s joints. It can contribute to flexible flat feet in children. Your child may fall over a lot and get tired legs and appear clumsy with activity. A simple screening test can score your child and determine whether they have any connective tissue conditions. What causes hypermobility in children? Laxity (increased stretch) in a child’s ligaments can be a genetic predisposition. There are more serious connective tissue conditions which can be associated with having flexible, joint hypermobility. Inspire Podiatrists are often checking to see if your child has very mobile joints as this can often contribute and present as having a flexible flat foot. The child can often appear “clumsy ” with activity. A simple screening test called the Beighton’s Scale, can score your child and determine whether they have any connective tissue conditions. Ligamentous laxity can be a genetic in children. Kids with this condition are gifted with increased elasticity and collagen in their ligaments. Ligaments are soft tissues in the body which connect bone to bone and assist to prevent the joints from getting injured. When a child has hypermobile joints it can mean that they have increased stretch in the ligaments. This commonly presents as having a flexible flat foot. They often make really good gymnasts and are able to do party tricks which were once labelled as being “double jointed”. At Inspire podiatry we screen every child to see if they have increased joint laxity. This is because it is common to see a painful adult acquired flat foot in later life if left unmanaged. If your child has hypermobile joints they may be working their muscles and tendons in the foot and legs a lot harder than what they should. They may go on to develop knee pain or hip pain due to the compensations caused in the bodies tissues. If your child has a flat foot these tissues are fatiguing as they are working extra hard to stabilise the movement of a flat foot. Sometimes kids don’t realise that the feeling of tired feet and tired legs is not normal. This can be interpreted as “laziness” or being “whingey” as they don’t want to walk very far. They simply may just need a little support such as a soft custom orthotic in their shoe to make waking and running easier. What is the best shoe for my child if they have hypermobile joints? Here at Inspire Podiatry we love helping parents to choose a good shoe for their toddler who may have joint hypermobility. Footwear advice can also be a great start to managing hypermobile joints. A stiffer shanked shoe is best, that means the shoe should have more firmness and be less flexible. It should bend at the forefoot, where their toes are but be nice and stiff in the middle of their foot. It should have a firm and deep heel cup. A lace up shoe is preferable. Give us a call at Inspire podiatry to book in to have your child’s foot posture assessed.